CityBusiness recognized Corporate Realty as a Best Place to Work in 2015 as well. This support and hands-on involvement says a lot about who we are . . . not just salesmen and property managers but business leaders who care deeply about the communities in which we live and work. 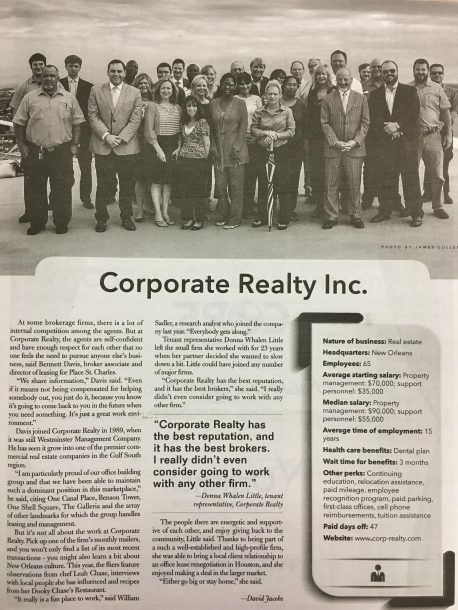 Congratulations to everyone who continues to make Corporate Realty a great place to work!